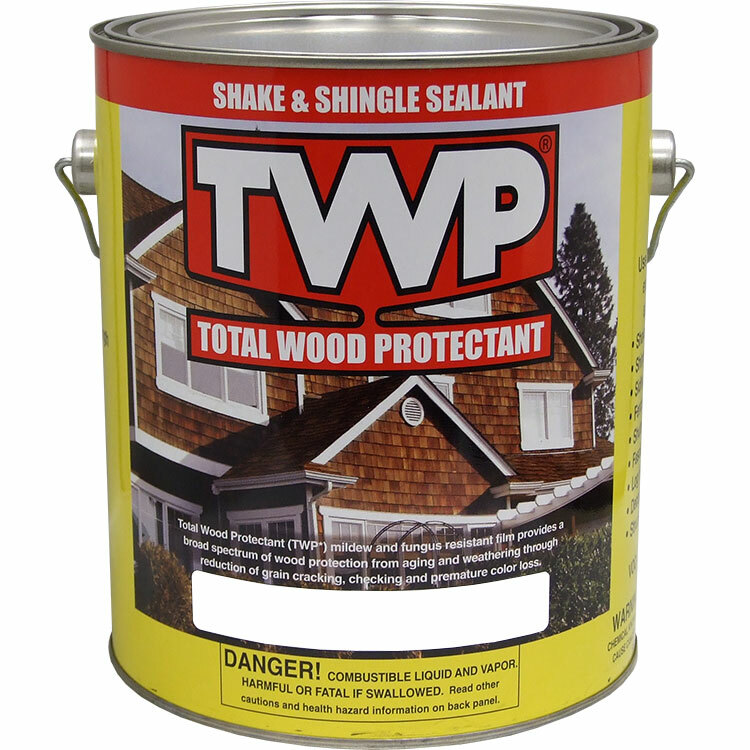 TWP 200 Series is a high solids, penetrating finish designed to extend the life of exterior wood such as decks, siding, cedar shakes and shingles. 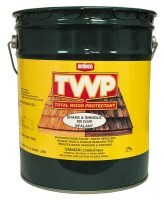 TWP 200 Series enhances cellular integrity and appearance of all exterior wood. The sealer will minimize splitting, checking, surface erosion, water absorption and surface attack from mold. Containing a paraffinic oil, TWP 200 series has extreme penetrating properties, making the surface coating highly resistant to destructive organisms. The penetrative properties of the coating absorbs into aged and porous wood, rejuvenating the natural oils in aged and fragile wood fibers. This restores lubricity and flexibility to the wood. At 94%+ solids, TWP 200 Series complies with all VOC (volatile organic compounds) regulations. 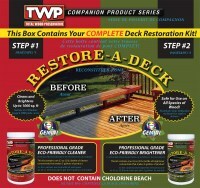 TWP 200 Series Deck Stain prevents water absorption that causes warping, cracking, and splitting. TWP? 200 Series Deck Sealer Stops U.V. Damage - Special U.V. absorbers prevent unsightly wood graying, darkening, and fading. Wood stays beautiful longer. TWP? 200 Series Wood Sealer is Resistant to Mold and Mildew - Special mildewcides inhibit the growth of mold and mildew preventing premature discoloration. 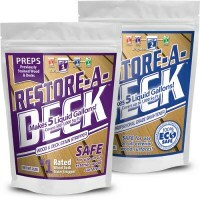 TWP Wood Deck Stain applies at about 100-250 feet per gallon. Actual coverage varies depending on wood porosity. TWP 200 series can be shipped to all 50 states.